Parking.com has convenient parking for Grimaldi's under the Brooklyn Bridge. 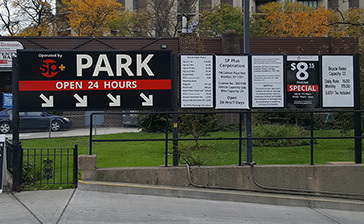 Refer to the map for more information on parking. 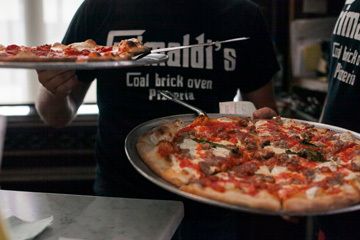 Grimaldi's is continuously voted as the No. 1 pizza place in NYC and the nation. The legendary institution continues to make pizza the old-fashioned way, with a thin crust and cooked in a coal-fired brick oven. The DUMBO location of the chain often has visitors and locals waiting outside the door.